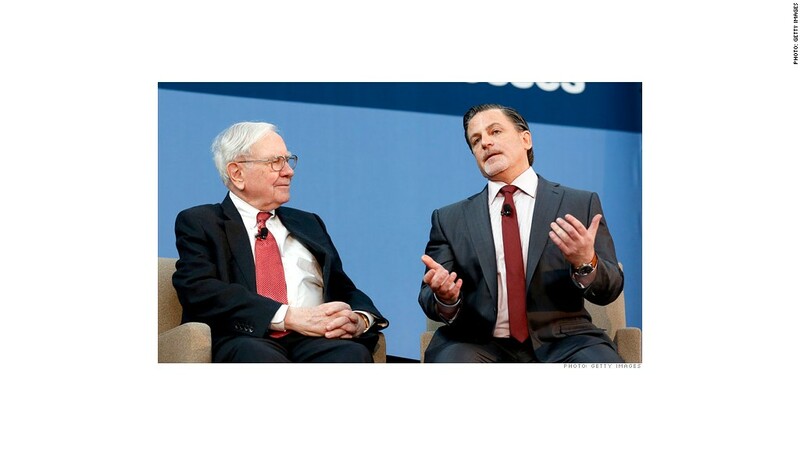 Warren Buffett with Quicken Loans' Chairman Dan Gilbert. Warren Buffett might be the epitome of the cautious investor, but he's betting $1 billion on this year's NCAA tournament. Quicken Loans is offering a $1 billion prize to the basketball fan who submits the perfect NCAA bracket for this year's tournament. And the prize, if there is one awarded, will be paid out by Buffett's Berkshire Hathaway (BRKA). The payment would be doled out over 40 years in annual payments of $25 million, or a lump-sum payment of $500 million. If there is more than one perfect bracket submitted, the winning entries will split the money. Buffett would not disclose the premium that Quicken Loans Chairman Dan Gilbert agreed to pay to Berkshire to cover the potential payout. "Dan says it is too much and I say it's too little," he told CNN's Poppy Harlow. He added that if there is a contestant who has a chance for the prize when the final game is held on April 7 in Arlington, Texas, he plans on attending the game. "I will invite him or her to be my guest at the final game and be there with a check in my pocket, but I will not be cheering for him or her to win," he said, jokingly. "I may even give them a little investment advice." Entry in the pool is free. Contestants can start signing up to participate on March 3, though they won't be able to make their picks until the brackets are set on March 16. The deadline for entry is Wednesday, March 19. There are more than 9 quintillion possible ways to fill out the 64-team bracket, according to the math and science site Orgtheory.net. That's 9 million-trillion, or 9 followed by 18 zeros. It's much more of a long shot than the one-in-259 million odds of winning the grand prize in MegaMillions or the one-in-175 million odds of winning Powerball's top prize. But Buffett said that because winners in the tournament are not random, there's no real accurate way to calculate the actual odds of the perfect bracket. "There is no perfect math...There are no true odds, no one really knows," he said. Buffett said he and one of the executives from Berkshire's insurance unit made independent calculations of the odds. "[They] were in the same ballpark, but it's a big ball park," he said. John Diver, director of product development for ESPN Fantasy, said in the 13 years that ESPN has offered NCAA bracket contests, no one has ever come close to a perfect bracket, even though there have been about 30 million entries. In fact, only once in the last seven years has anyone gotten the first round perfect. "I don't want to say it's impossible, but it's basically impossible," he said. Quicken is also paying out $100,000 prizes to each of the 20 contestants who do the best in the brackets. And it is donating $1 million to inner-city Detroit and Cleveland non-profit organizations that are dedicated to improving the education of young residents. 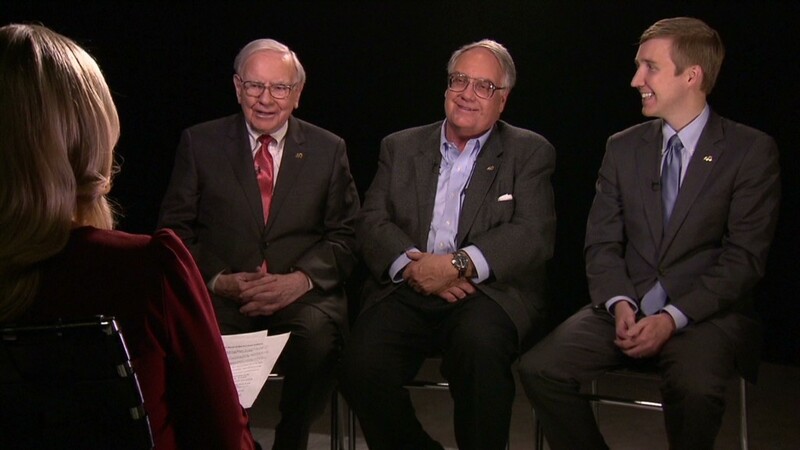 Buffett said he came up with the idea while getting a tour of Detroit from Gilbert in November and Gilbert quickly signed on to the idea. Buffett backed a similar $1 billion prize from PepsiCo (PEP) 11 years ago that involved numbers printed in the bottle caps of Pepsi products, and a monkey drawing the final numbers to see if anyone would collect the $1 billion prize. But, as is likely with this offer, no one ended up collecting that prize.